UPDATE: Expired Domain Miner is no longer available. We have not received news of why it’s offline. When we find a suitable replacement we will update this article. Expired Domain Miner is a Windows application that allows your own build PBN (Private Blog Network) empires very cheaply. Instead of paying top dollar for domains with Page and Domain Authority you can purchase high-quality domains for the only the domain registration fee allowing you to build your own network of highly valued blogs that will skyrocket your rankings when used properly. This is different than the old way of buying expired domains with PR (Page Rank, something Google has depreciated and you should not be focusing on). You can rank and make money with PBNs in many ways. Expired Domain Miner is a Windows desktop application that finds domains that have expired with high page authority and/or domain authority. It will search URLs looking for domains for you. It gathers all the available domains and creates a CSV file you can view in just about any spreadsheet editor such as Excel, Open Office Google Docs, etc. Correct that… it’s two Windows applications in reality; you have the Domain Miner and then the Whois lookup application, they run at the same time. As the domain miner finds the domains, the Whois application checks to see if they are expired. The speed which it does all this is mind blowing. 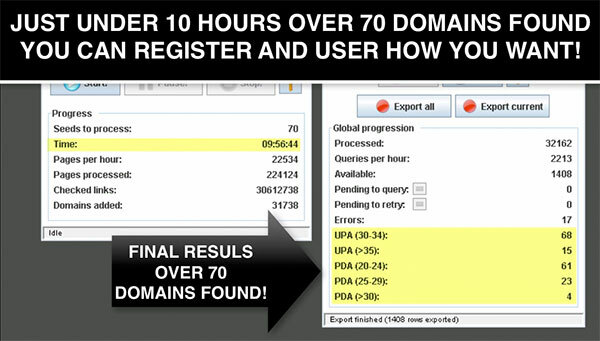 Expired Domain Miner can go through tens of thousands of domains searches an hour (depending on your Internet speed, CPU and running threads). Setting up Expired Domain Miner is really easy, you edit 2 text files. One you add your Seed URLS to crawl and the other Proxies. There is another text file that controls threads and a few other things, but that’s optional and doesn’t have to be changed often. After you save the text files, you run the applications and tell the domain miner and the Whois app to start. You will see it flying through URLs and reporting results as it goes. The Whois application will give you real time statistics of the number of domains it has found and the ranking levels of them. The application is lightweight and fairly resource friendly. The more threads you tell it to run, the more bandwidth you will use and CPU load it will consume. I run it with 10 threads and put it in the background. You just let it do “it’s thing” and go about your business. Make your own private blog network overnight. It will not take long to realize how awesome this software is. Many people see the monthly subscription cost and steer away from it; I almost did, but after I had tried it I found 43 golden domains my first run. Let’s say I had to pay $25 each (which is really low for a high DA domain) from a broker for those 43 domains that would have been $1075. Instead, I can register for less than $9 each meaning less than $400 for 43 domains, that’s if you wanted all 43 of them. Also, there are ways to get them much cheaper see the tips below. In order to search for available domains you must supply what is called Seed URLS, these are the URL’s it will load and start crawling for domains. I recommended finding a niche to build your PBN around then locating larger forums and blogs that allow comments associated with that niche, use the forum & blog URLs from that niche. 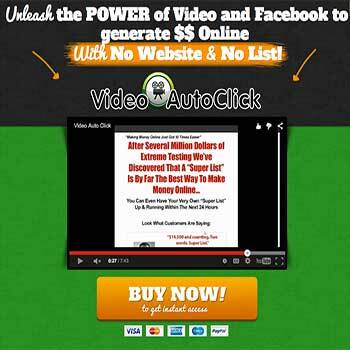 This will allow you to build a highly focused PBN. Use proxies! If you are hitting a site numerous time a second, your IP might be banned because it could be seen as a denial of service attack which leads me to my next tip. Set friendly timeouts, do not be aggressive on the seed sites, allow for slower crawls, it’s not cool to hit sites with hundreds of crawls a minute. If you have entered enough seed sites, you will still be getting plenty of searches a minute. Also, if you do this from a home computer, you do not want your ISP to think you are doing something wrong due to the sheer number of connections outgoing from your IP. I recommend using a dedicated Windows server when possible, but I had some issues with a Windows 2008 R2 Server and Expired Domain Miner when used remotely. I think the remote desktop doesn’t play well with the GUI interface, but it works like a charm in my VMWare virtual machines on my Mac and my Windows 8.1 (cringe) Alienware. 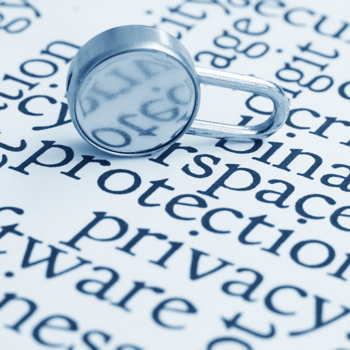 When used properly Expired Domain Miner can easily find hundreds if not thousands of available domains a day. Then you can register these domains very cheaply compared to having to buy expired domain names for sale from a broker for much more. You can use expired domain lists and find expired domains that are still available that have authority. The problem with these lists the domains is that the domains get registered quickly, with Expired Domain Miner you can save time by not trying to register domains that have been taken already and verify the page & domain authority at the same time. You do not want to put pure trash on your PBNs, many PBN owners take articles (plr, from directories… etc) and spin them with a high quality spinner such as Spinner Chief and use them as content on the PBNs mixed with a few hand written articles. Then use a plugin like SEOPressor to focus in on the niche rich keywords in the articles. This is a quick and easily way to get keyword rich content Google will love. Doing this will help keep the PBN’s indexed in Google. If possible go to Archive.org’s Wayback Machine and grab the last real content it has for the domain and post it back as blog posts (providing copyright allows it 😉 ). You are preserving the domain’s content as Google last saw it as with the above tip it will help keep the PBN’s indexed in Google. 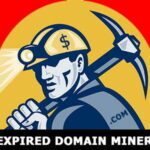 Register domains cheaply that you have found with Expired Domain Miner. I’m going to be honest I don’t really like GoDaddy, but many don’t seem to have an issue with them. Anyway’s they often have coupons for cheap domain registration, for example .99 cent domains. These discounts are only good for 1 yr of registration and then you pay full price on renewals. So what I’ve done many times is register domains with them for a dollar or so then transfer them out to NameSilo hen it’s time for renewal with I want to keep the domain. 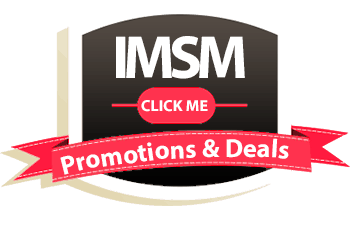 The trick is finding the discount coupons, well here is a HUGE tip for you. 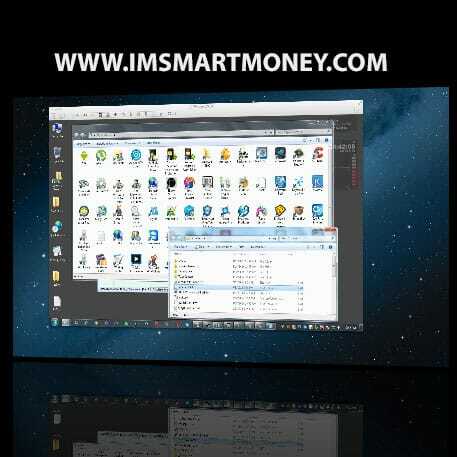 Go install completely free but totally awesome the plugin for Chrome browser called Honey. When checking out of Godaddy select “I have a coupon” and allow Honey to try all it’s current discount for Godaddy for you. Often I can buy these expired domains for little of nothing thanks to Honey and Expired Domain Miner.